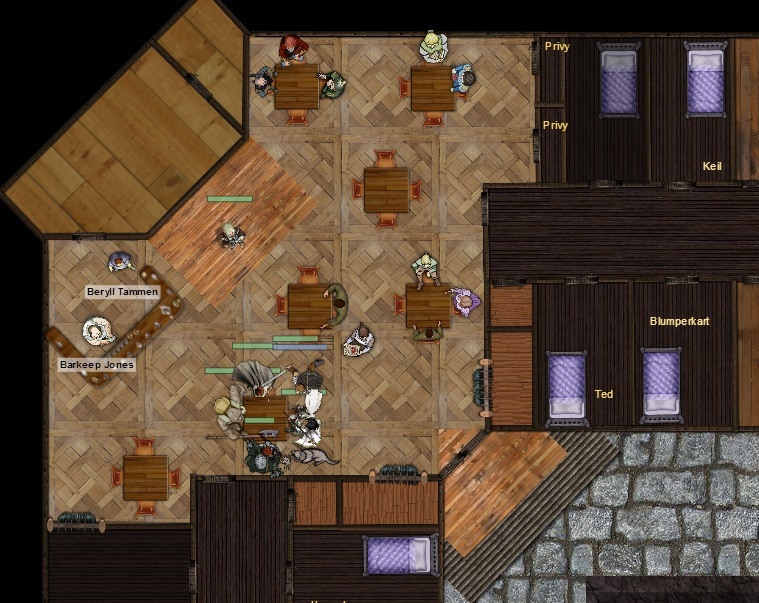 This was the group’s first base of operations, a hole in the wall inn in one of the lower levels of the towers. This is where they were first approached by Lady Eladryn of House Cannith and sent on the beginnings of their search for the varied lost schema that eventually took them across the world to defeat an ancient evil. The inn saw a number of fights break out, including an attempted assassination on Lady Eladryn by operatives of the Lord of Blades, a Warforged fanatic intent on building a new land in the Mournlands and overthrowing the rule of organic beings.